Apparently, everyone is getting into the home security market lately. Nest announced its Nest Secure system recently, and then earlier today Samsung SmartThings unveiled an ADT-infused security setup. 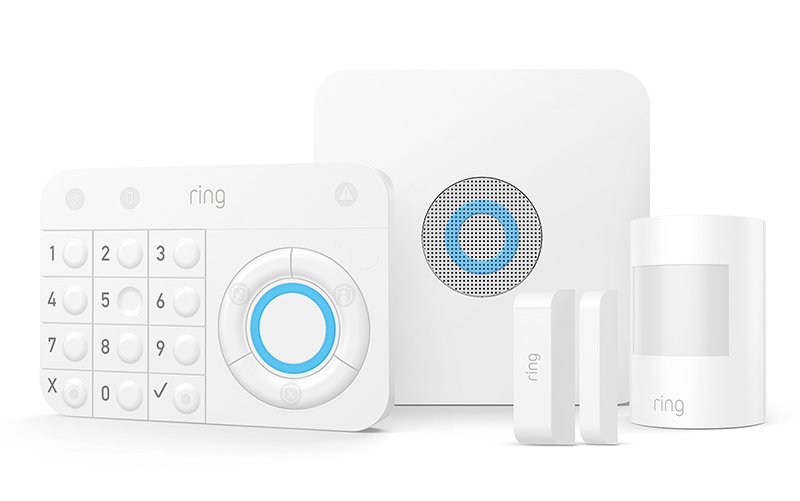 Now it's time for Ring to announce its own suspiciously timed security system. Ring Protect comes with a keypad and some sensors, plus it integrates with Ring's existing camera products. Ring's option appears to be a bit cheaper than the competition, with a starting price of just $199 (both Nest and Samsung are at or over $500). The kit comes with a base station, keypad, contact sensor (for doors), motion detector, and a Z-wave range extender. Presumably, you'll be able to get more sensors, but there's no listing on the Ring site yet. The system can be monitored and controlled via the Ring app, but you can get professional monitoring as well. Ring says that will cost $10 per month or $100 per year. That's a lot cheaper than what Samsung is offering via ADR. Ring doesn't say who's doing this monitoring, though. Maybe Ring is doing it in-house? Ring Protect is available for pre-order on Ring's site right now. The estimated ship date is sometime in November.